Our community cookbook features 150+ scrumptious family recipes, local history and helpful hints – all lovingly shared by members of our community. Great for Gifts! Great Keepsake! Cookbooks can be purchased at the Los Osos/Baywood Park Chamber Office & Visitor’s Center, 781 Los Osos Valley Road. Make checks payable to LOBPCC. Cookbooks are also available at Volumes of Pleasure Bookstore, and Los Osos Rexall Pharmacy and Gift Store. All proceeds benefit the Los Osos/Baywood Park Chamber of Commerce. 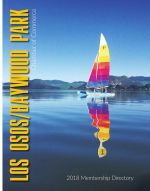 Buy your Los Osos/Baywood Park Community Cookbook today! If you plan to pick up your cookbook from the Los Osos/Baywood Park Chamber of Commerce office, please choose this option. If you would like to have your cookbook shipped directly to you ($6 shipping and handling), please choose this option and be sure to enter your correct shipping address on the PayPal website.